This article is the first in our “CLE Means We: Advancing Equity & Inclusion in Cleveland” dedicated series, presented in partnership with Jumpstart, Inc., Greater Cleveland Partnership/The Commission on Economic Inclusion, YWCA of Greater Cleveland, and the Fund for Our Economic Future. Though minority business owners comprise just 29 percent of the overall economy, minority restaurateurs make up 40 percent of that sector—with that number steadily rising. Cleveland’s own culinary scene has also made strides in supporting minority food business owners, with Latino Restaurant Week launching in 2017 and Quicken Loans Arena using its Launch Test Kitchen to help spotlight minority food entrepreneurs. A new dinner series, Culture.CLE, is the newest local initiative aimed at bringing Cleveland’s ethnic restaurateurs to the forefront. A joint venture of BlossomCLE and Kitchen 216, the series launches tonight with a sold-out, traditional family-style dinner prepared by chef David Ina of Zaytoon Lebanese Kitchen. On the menu? Tabbulee, baba ganouj, kefta kabobs, falafel, and other traditional Lebanese dishes. To that end, Peddicord has curated an upcoming lineup including Honduran chef Mariela Paz of Sabor Miami (April 30), Congolese refugee and amateur chef Esther Ngemba (May 21), and Sahar Rizvi of Indian cooking school Cleveland Masala (June). Along with the meal, each event will include an informal educational component designed to share background on the featured cuisine and its related community’s presence in Cleveland. For instance, at tonight’s event, Ina’s mom Ghadda will talk about her experiences as a Lebanese-born immigrant. Chef David InaFor his part, Zaytoon’s Ina is also hoping the Culture.CLE events will help encourage more adventurous palates around the city. 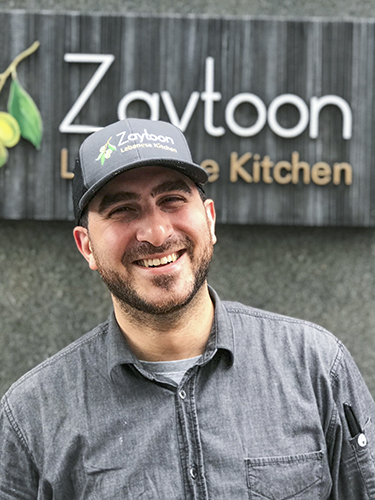 Though the restaurant’s Playhouse Square location attracts everyone from construction workers to CSU students to executives, Ina says that many of the customers who come in are “a little timid” about trying Zaytoon’s brand of authentic Lebanese food. “The biggest challenge is breaking that barrier and getting people to feel comfortable and open to trying different dishes and foods,” says Ina. Enter the idea for Culture.CLE, which will take place at Kitchen 216 (an event space located at Cleveland Culinary Launch & Kitchen). Peddicord says the space was a “no-brainer” because of its 3,000-square-foot open kitchen, conducive to observation and conversation with the chef. The tricked-out kitchen will also open up new opportunities for many of the participating chefs, which is key to the effort. Along with the international dinner club, Culture.CLE is also hosting a monthly book club geared at exploring international books, which launched last August. Selections so far have included Pachinko by Min Jin Lee and Between the World and Me by Ta-Nehisi Coates; April’s book club meeting will feature Middlesex by Jeffery Eugenides. 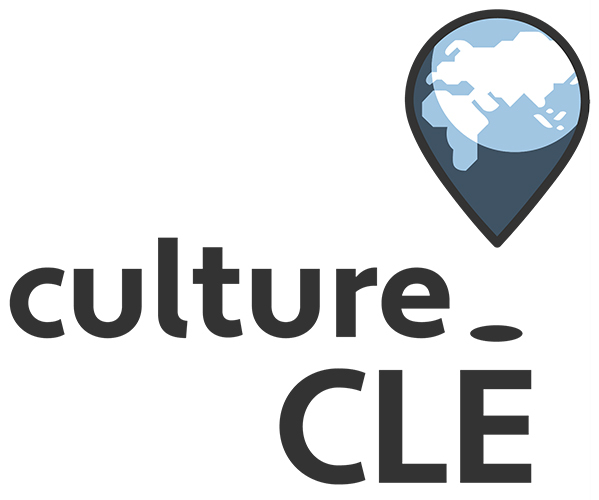 Sign up for Culture.CLE’s April dinner event and book club! More info here.